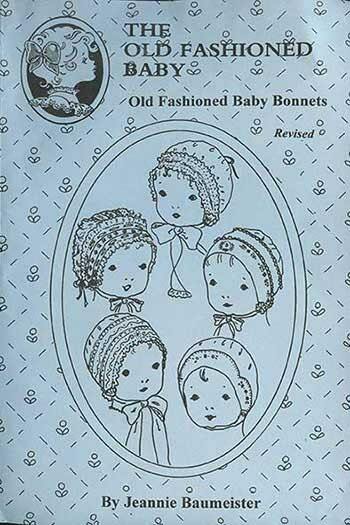 This is a collection of 5 bonnets. The Lacy Peek a Boo is a T-Shape that ties together with ribbon. The Hanky Bonnet is designed for baby to wear and then later when he/she marries, it can be made back into a hanky to be carried by the bride. It comes with an embroidery design and poem. Antique Christening Bonnet is fashioned after a bonnet made in the 1920's. 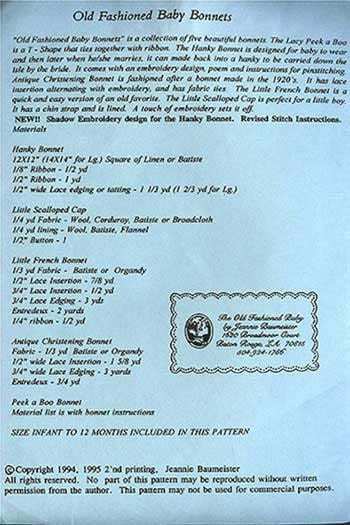 The Little French Bonnet is quick and easy and the Little Scalloped Cap is perfect for a little boy. Seller accidentally sent the wrong pattern out... after a few convo's she quickly sent out the correct one. I received the new one 2 days later! I have no used the pattern yet but it's pretty straight forward and can not wait to use it!! I am very pleased with my pattern just what I was looking for. Fast shipping.